Sensible Reason recently sat down with Cameron Troy, operations director for Aura Music and Arts Festival to speak about past festivals, change in venue (to the one and only Spirit of the Suwanee Music Park), this year’s lineup and what’s new to Aura 2013. This year’s festival is one you’re not going to want to miss–stocked line-up, added workshops and activities, live art and did I mention a silent disco? Come find your Aura this February for a mid-winter escape! What is your position at with Aura Music & Arts Festival? Hey Sensible Reason! I’m Cameron Troy operations director for AURA Music & Arts Festival. Daryl Wolff founded the event in 2010 and after attending as a guest, I came on board as an official partner. Now we’re in our fourth year, and it’s going to be bigger and better than ever before. What are some of your primary responsibilities? I am in charge of site operations and logistics for the event so if you need something onsite…ask someone else! Just kidding. I also oversee our sponsorship program, volunteer program and visual arts program. It’s a lot of work but seeing the final product is always well worth the time and energy. Prior to its inception, what inspired the creation of Aura Music & Arts Festival? AURA was created out of a passion for music and the desire to give back to the Florida music scene. Being a musician myself, I love supporting talented and hardworking touring artists. AURA allows us the opportunity to get them in front of many more people than they would at a regular club show in Florida and a festival set always has a very special feel. Since we started AURA, our team of core supporters continues to grow, and that has allowed us to add more programming for our fans, bring in bigger artists and move to the gorgeous Spirit of the Suwannee Music Park. After three years at the beautiful Forever Florida Wildlife Conservation, Aura has now changed location to the legendary Spirit of the Suwanee Music Park where festivals such as Wanee and Bear Creek are held. What prompted this? What’s not to love about Spirit of the Suwannee?! The setting is surreal, and we like that we’re able to offer our guests more conveniences like real bathrooms with showers, cabins, a general store and RV hook-ups. There’s something incredibly magical about the Amphitheater Stage and artists love performing there. Our last location was great but many of our fans are already familiar with Spirit of the Suwannee and when we announced the move we got a lot of positive feedback. It’s an honor to host AURA at the Park and we hope it’s our home for many more years. In your opinion, how will the change in venue affect the overall festival experience? What will you miss most about your previous location? The people of Forever Florida were great to work with, and it was very cool to put a festival together from the ground up. At Suwannee, so much more is already in place – but that’s also what we love about it. Forever Florida was a working cattle ranch, and they had the most delicious free-range grass fed burgers onsite from their cattle…yum. Oh, and definitely the peacocks! I will miss them for sure. How do you go about picking acts? Talking to fans and reaching out to our community to see what the people want. Personal tastes and friendships might play into it a bit too. With a stocked line-up, who are you most excited to see play at Aura 2013? (Laughs) Tough question when you have your dream lineup! I have never seen Conspirator live before so I am looking forward to a ragin’ dance party! What do you find to be the most rewarding from throwing a festival? Smiles. Seeing old friends, making new ones, and the family vibe among the artists. It’s a community, and we love it. The Fourth Annual Aura Festival is planned to be bigger and better than any other year. With that line-up and change in venue, is there anything else you have hidden up your sleeves that we can expect this year? A much bigger yoga program with multiple classes each day, a disc golf tournament, expanded live art program, craft beer schedule, silent disco, canned food drive and of course staying true to our AURA roots a full audio and lighting production that hits all the senses is always priority. If there was one thing you wanted people to know about Aura, what would it be? Come early, we are getting right to it on Friday! It’s a packed schedule and there is not a single band you want to miss! Is there anything else you would like to say before we go? There is a canned food drive as well as a program called Project Shelter to help those who have lost their homes. Guests traveling in from out of town can purchase camping equipment online in advance that will be waiting for them onsite and then return it at the end of the event to be donated to a family in need. It’s a great way to give back after a really fun weekend. AURA has partnered with the Moksha Family Arts Collective in Miami to bring even more visual artists to the festival. Famed poster artist Jeff Wood will paint live on stage for his first time ever, sharing a very special moment with AURA festival goers. 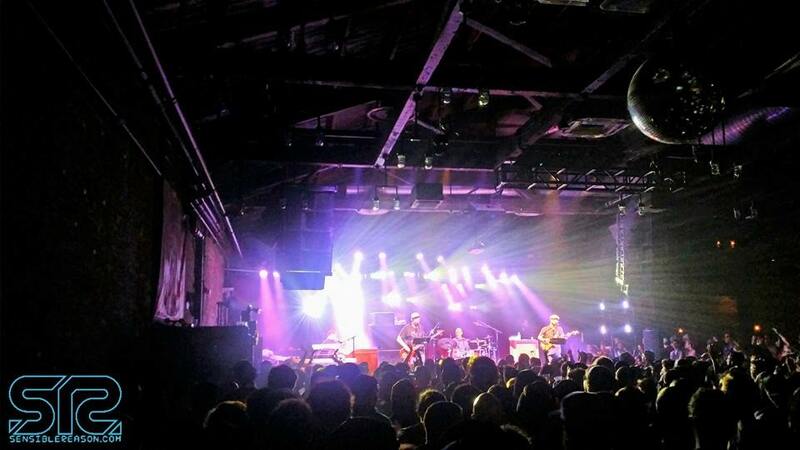 (Spoiler Alert: make sure to catch Perpetual Groove’s headlining sets!) In addition to live painting, another AURA Art Program highlight includes visionary Michael Garfield sharing his thoughts during an intimate speaking engagement as well as performing several sets of his unique electro-acoustic touch-style guitar improv. A full list of the visual artists can be found below. AURA’s resident yoga teacher, Kelly Searcy, returns again with even more funky, fun, peaceful, and inspiring classes. This year she’ll expand the Yoga and Spiritual Practices Program with multiple classes and workshops each day including: Shake your Asana, It Takes Two Thai Massage and Acro Yoga, Siesta Savasana, Chakra Balancing, Didgeridoo Healing, Group Chant, Sacred Space Creation, and much more. In an effort to support the local community, AURA will host a canned Food Drive, as well as a Charity Disc Golf Tournament on the fantastic 18-hole Magnolia Disc Golf Course, benefiting Love INC. Hang tight for more info! For out-of-state fans flying in or locals that want to travel light, Project Shelter offers a way to reduce stress and help give back to families in need. Pre-order an assortment of gear at www.ProjectShelter.org and it will be there when you arrive. When the fun is over, Project Shelter will collect and donate all unwanted gear to victims of disaster and other hardships. Tickets are currently available for just $99 at http://bit.ly/AURA2013tix, but prices will increase to $109 on Thursday, December 20th, so make sure to grab yours today and SAVE! For cabin and golf cart rentals and RV hook-ups, contact Spirit of the Suwannee Music Park at 386.364.1683 or www.MusicLivesHere.com. How big is your Aura? Big things on the Horizon for the Fourth Annual Aura Music & Arts Festival! 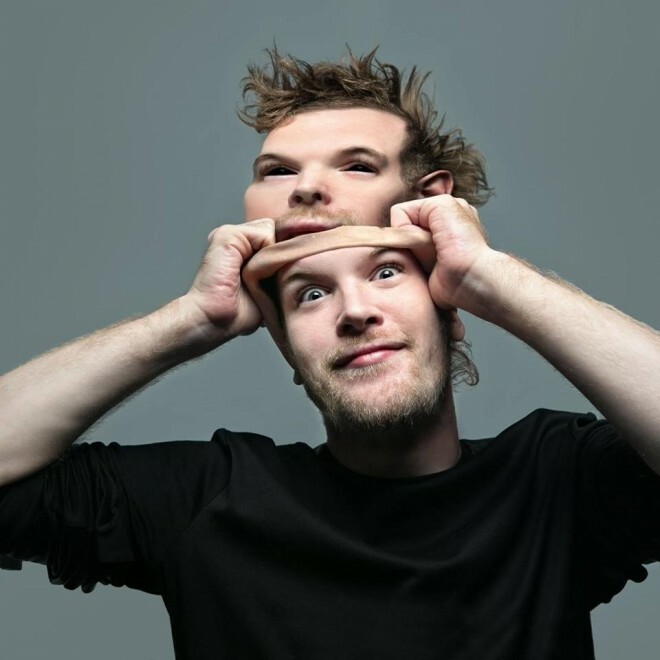 The Greatest Interview You’ve Never Heard: Rusko Talks Drum and Bass, New Studio, and His Naked, Underground Society?